I first met Teresa during our very first TAGI handover. She is a nurse at Vredendal Hospital. 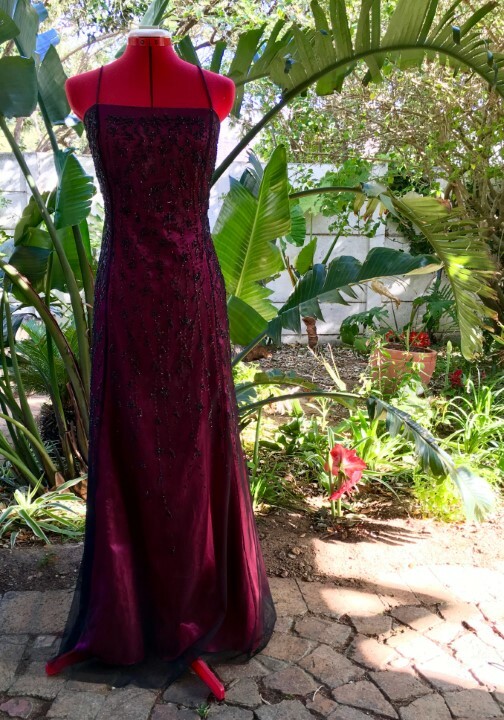 This magenta evening gown is done in an A-line design, simplistic, yet striking with the stark contrast in black detail. Thank you Teresa for donating your special gown to us!